Nothing can do more to assure optimum performance and prolong the life of your Honda than by using the range of Genuine Oils and Fluids specifically developed for your Honda. In choosing any one of our Honda Genuine Oils or Fluids you can be assured of its high standard of quality. Why risk potential damage, a reduction in performance or costly repair bills by using an incorrect grade of oil? Protect your investment and always insist on the use of Honda Genuine Oils and Fluids when you leave you car in for service. Below you will see a comparison of a cross section between two engines, one using a Honda Genuine Oil and one using an aftermarket brand. The visual result after only 5,000km is quite remarkable. The engine tested with Honda Genuine Oil remains with no discolouration and with its original consistency. The engine tested with an aftermarket brand has discoloured and also the consistency has visibly changed. For the i-CDTi and i-DTEC diesel engines the recommended oil for Western European driving conditions and weather conditions is fully synthetic motor oil meeting the minimum specification ACEA C2/C3. The recommended viscosity is 0W-30. For all petrol engines, excluding Hybrid models, the recommended oil for Western European driving conditions and weather conditions is a semi-synthetic motor oil meeting the minimum specification ACEA A1/B1. The recommended viscosity range is between 0W-20 to 10W-40. A unique Hybrid Green Oil has been developed by Honda. This new oil not only improves the performance characteristics in all driving conditions but also has the additional advantages of not only improved fuel economy, being environmentally friendly and is the first oil developed specifically for Hybrid engines. Note: 15W-40 cannot be used in vehicles equipped with an oil level sensor. If you put 15W-40 oil in an engine with an oil level sensor, the sensor may indicate an incorrect oil level reading. What’s the difference between synthetic and mineral Oil? A liquid that has a relatively high resistance to flow can be describes as viscous. For example, water has a low viscosity compared with honey, so in this case honey has a higher viscosity than water under the same temperature. A good quality lubricant keeps its viscosity constant under different temperatures and usage conditions for a longer period of time. Lubricants that are able to maintain their performance in high and low temperatures are called multigrade. They are defined by two numbers. The first (followed by a W) indicates the lubricant’s viscosity under low temperatures. The second and higher number indicates the lubricant’s viscosity under great temperatures (i.e. 10W-30 where the 10W is the low temperature or Winter designation and the 30 is the high temperature designation). A multigrade lubricant minimises viscosity differences under temperature variations. Additives are chemical compounds which, when added to base oils, improve the performance of the lubricants, helping to protect them from aging and to allow them to respond to all the demands of the modern engine. The colour of the oil has no specific meaning, but depends on a number of factors, such as the refining process and the types of base oils, additives and crude oil used. Oil may turn a darker colour after use because it contains a number of suspension particles – the reason for this is that oil helps to clean the engine of particles and other deposits produced by the high temperature combustion, keeping the particles in suspension to avoid depositing them on the engine’s surface. What do the classifications and specifications mean? Lubricants vary in their use and quality. Some are only suitable for particular engines, while others can only be used in certain weather. Even two oils optimised for the same engine and weather conditions can have vastly different levels of performance. Universal criteria to describe oil performance and usage are therefore used. 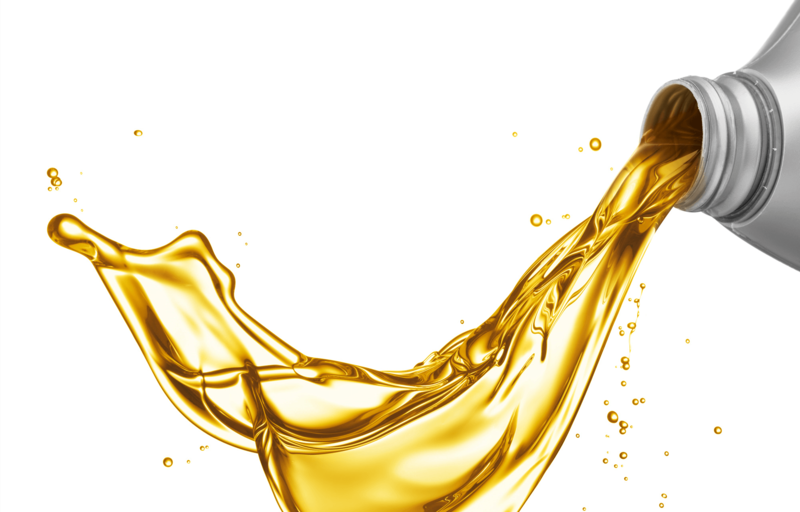 Society of Automotive Engineers (SAE) – defines oil according to its viscosity. Oil can be monograde or multigrade, depending on its viscosity performance at various temperatures. American Petroleum Institute (API) – classifies oils according to their capacity to protect the engine. The letter S (Spark Ignition) is used for petrol engines and the letter C (Compression Ignition) for diesel. The letter that follows the S or the C indicates the degree of performance and protection, with A the lowest and X the highest. Some oils can be used in petrol and diesel engines, so their classifications is stated as SJ/CF or CF-4/SJ. Association des Constructeurs Europeans d’Automobiles (ACEA) – similar to the API, with the difference that while the API is based on American engines, the ACEA is based on European engines. The ACEA also uses letters to denote classifications. Acceptable rates of oil consumption can be up to 1 litre per 1,000km / 600 miles. Consumption can be higher when the engine is new. All grades of Honda Genuine Oil specified by the manufacturer are available from your local Honda dealer. These grades are available in handy 1 Litre bottles for top-up purposes or a 4 Litre pack for servicing requirements. Why is using Honda genuine oil so important for your Honda? These unique fluids contain specific additives designed to help prevent fluid oxidisation and internal wear, the most crucial areas that influence power steering noise and brake performance. Using a non-genuine brake or power steering fluid can cause corrosion and potentially decrease the life expectancy of the affected systems. For performance and peace of mind, use only Honda Genuine Brake and Power Steering Fluids. Honda’s specifically formulated transmission fluid offers superior performance, resulting in a smoother gear change and prolonged life. Using a non-genuine transmission fluid can impact on the performance of your transmission in the form of difficult gear change, shudder and low fluid pressure.